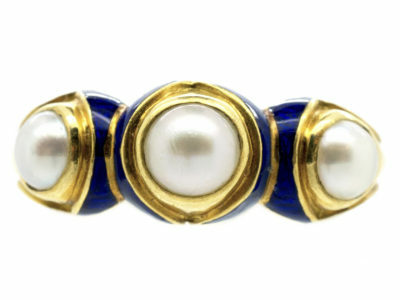 A really pretty bracelet with ten rows of natural seed pearls. 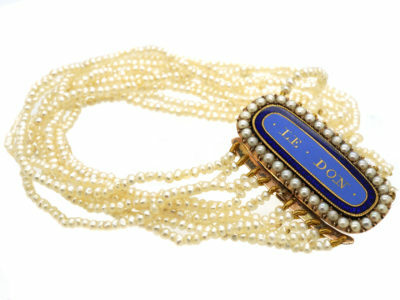 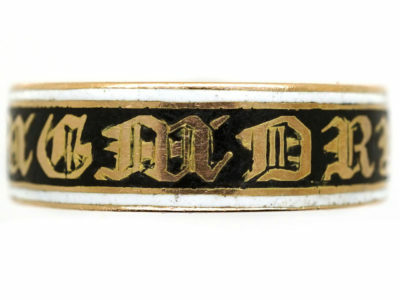 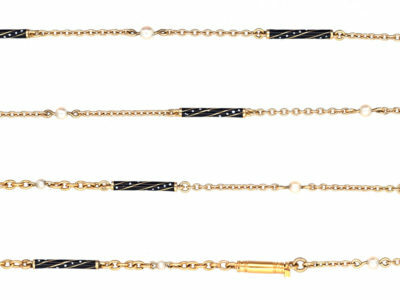 The oval clasp has the words “Le Don” meaning “The gift”. 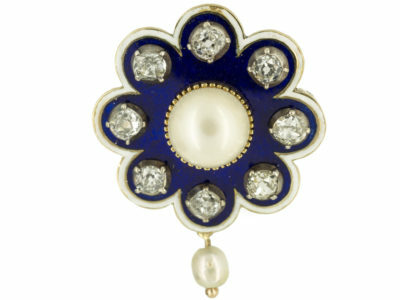 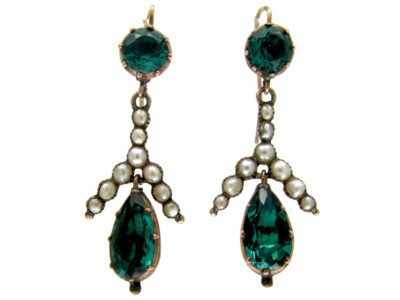 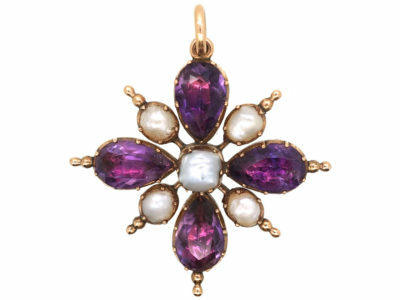 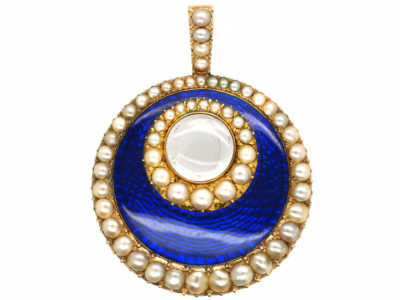 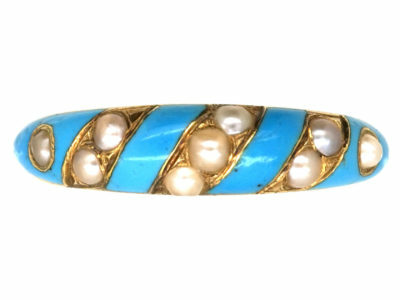 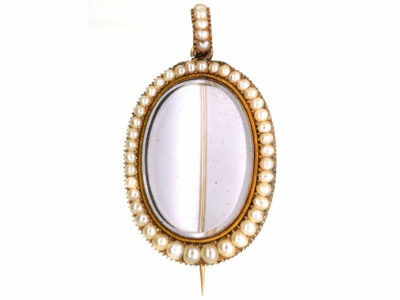 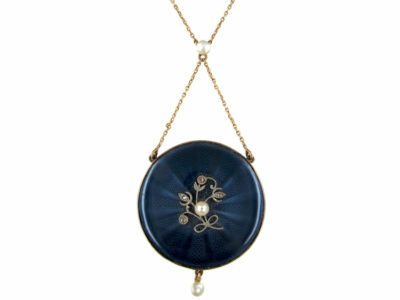 It has two shades of blue enamel and a row of natural split pearls around the edge. 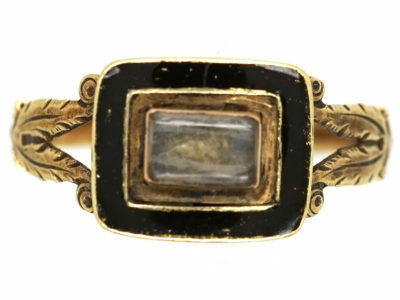 It was made circa 1820 and would have been a gift from an admirer. 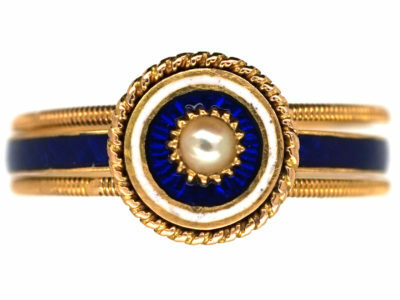 For lovers of Georgian jewellery this bracelet is a pretty unusual piece.